Are you fed up with seeing messages like this when you try to boost a Facebook post? “Your ad may not run due to too much text” – even when there is NO text? “Our policies prohibit promoting alcoholic beverages” – but you’re talking about puppy yoga? “Our policies do not allow discriminatory content” – when you’re simply providing value to a global population? “You are not certified to run political ads” – but you’ve said nothing political? Facebook is definitely erring on the conservative side when it comes to their response to the Cambridge Analytica Scandal as well as issues surrounding false advertising and potentially discriminatory ads. One problem is that all content approval is initially subject to an automated review, and software is imperfect. I’ve had ads for a lunch-time LinkedIn workshop denied saying “you can’t promote alcohol.” Frustrating, but not a complete roadblock. 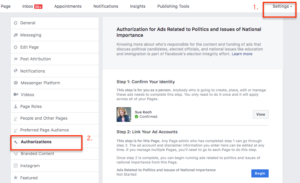 Another thing to keep in mind is that Facebook has a sets of language established that may initially flag your ad as discriminatory (targeting or leaving out a demographic) or political. The filter for political categories includes things such as health, environment, real estate and more. So you can see how a business trying to promote and ad or boost a post may be met with a denial, and frustration. 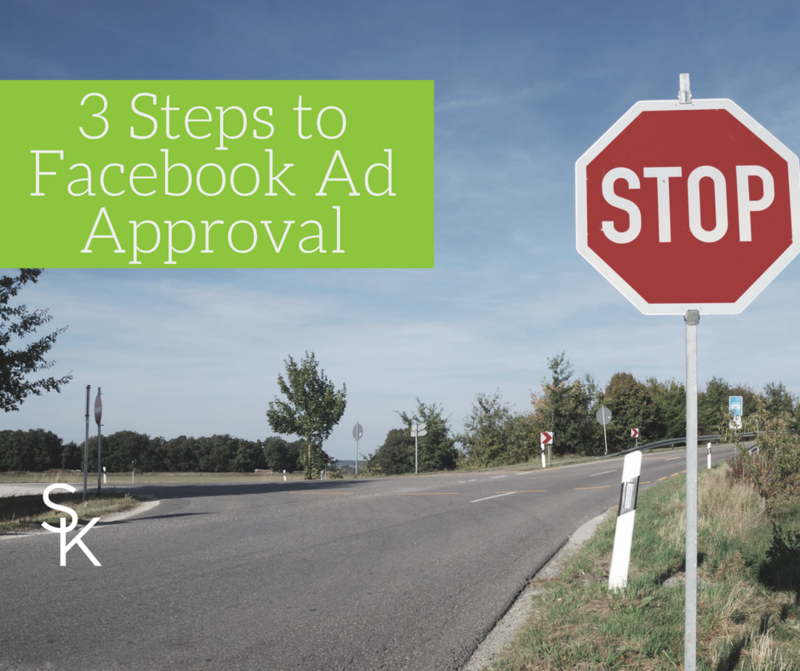 Here are three ways to make sure your compliant content makes it through the approval process. Keep in mind, these steps are a simplified process and indicated for people who are currently being wrongly denied by the review process. Request a manual review. I’ve found that simply because they were unclear on what this meant, many clients have cancelled boosting a post as opposed to clicking the button to request manual review. If your content is compliant, or your image does not have as much text as Facebook thinks it does upon automate review, your boost will clear. “This content in no way discriminates against a category or has political intent. It is simply guidance on a general topic in real estate that applies to all audiences who may own or like to own a home. The goal is to help all people understand a process and provide education”. Steal that and modify words as needed; basic and it works. Get approved for political ads. There is now an approval process for running political ads that requires a government issued ID and address verification, essentially, to make sure you are a real live human, and that you are the human you say you are. Now, you might think “but I’m not running political ads”, and I’m not either. But, since I do run ads for a lot of professional services that use language indicated by the review process, it was easier to go through the process than get denied every time I wanted to use language like “loan approval”, “health care”, “supreme court” or “jury”. Be prepared with your government issued ID or passport. Go to “Settings” (top right) and “Authorizations” (low left) on your Facebook page and follow the process. (Screenshot below). Await your letter in the mail with your verification code. It will send you a link to exactly where to place it online. You’ll be ready to go! If you’d like to learn more detail about the process, you can find that here, along with video tutorials. Follow these links to specifically review what content is prohibited and what content is restricted.